Bitcoin, in simplest terms, is a digital currency created and held electronically. It is a decentralized system that allows you to transact peer to peer via mobile phones or computer browsers. A decentralized system means that it is not controlled by a single entity like a government, nation, or bank. You have complete control over your funds, be it by mining, selling, or buying Bitcoin. 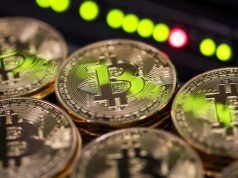 How to Buy Bitcoin for Beginners? a. Software wallet – applications which can be used from your mobile devices. b. Online wallet – these are webpages hosted online and can only be accessed via Internet. c. Hardware wallet – physical devices with added security for larger transactions. d. Paper wallet – private key data are printed on paper. e. Multiuser wallet – provides three keys for three users. It requires at least two keys to authorize a transaction. a. Credit and debit cards – usually require identity verification and possibly charge premium price for the coins. 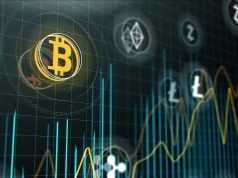 READ History of Crypto Currency Trading: How and Who Started It? b. PayPal – more secure than card but might not allow Bitcoin for credit exchanges. c. Wire transfer – usually takes days longer than using either card or Paypal. d. Cash – easiest method for beginners. However, buyers need to physically meet with sellers, losing the anonymity aspect of Bitcoin trade. a. Trading platforms – websites that connect buyers and sellers online and charge fees for each transaction. They don’t stock Bitcoins for sale and are dependent on the sellers. b. Brokers – shops where you can buy coins at a predetermined price that the broker has set. c. Non-executable exchanges – more geared toward people who are looking to make a profit rather than buying Bitcoin. d. Direct trading exchanges – Bitcoin prices are not fixed as each seller can decide their own rate. 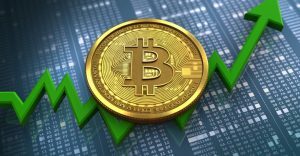 There are many online guides out there which can give a more in-depth explanation about Bitcoin trading. No matter which method or exchange you decide to use, it is important to do research about each platform. Be sure to keep your information safe and private. If you lose your wallet or password, you will lose your Bitcoins as well. Bitcoin still has a long way to go before it becomes part of the norm. It’s still in its developmental stage, and not all business may accept Bitcoin payments. For small casual users, buying Bitcoin may be a practical tool as part of financial education on the future of money. Nvidia’s Recent 28% Surge: Result Of Mellanox Acquisition and Clearance of Crypto Hardware Inventory? 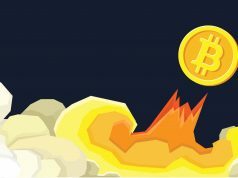 What Does the Future Have in Store for Bitcoin?